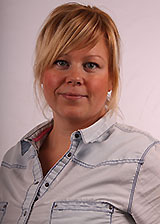 LiU’s web-based course in equal opportunities (“Lika Villkor” in Swedish) will open on 1 February. The issue of equal rights and opportunities for all is more important than ever, not least against the background of the #MeToo movement. LiU has worked with equal opportunities for more than 10 years and the issue of equal rights and opportunities for all is more important than ever, The #MeToo movement, which has brought to the fore the vulnerability of women to harassment and abuse all over the world, highlights the significance and need for education in these issues. “In addition, new knowledge is always being gained, together with new practices and legislation. What we are aiming at now is to make it possible for all co-workers at LiU to increase expertise in this field in a more systematic manner,” says Johanna Forsell, equal opportunities coordinator. The course takes about 2 hours to complete and will be available in both Swedish and English through Lisam, opening on 1 February. It has four parts, and it is possible to take all four in one session, or split them. You can take the course on your own or together with others (at a group or division meeting, for example). Why work with equal opportunities? This part looks at equal opportunities in a broader social context, and looks at historical and legal aspects. Gender equality. This part examines the development and significance of research in gender studies. Norm awareness. This part of the course deals with norms, the consequences they may have for our work, and how increased norm awareness can contribute to a more inclusive working life. What happens if someone is the victim of abusive treatment at LiU? The course takes up two concrete, and probably reasonably common, situations from normal work at an institution of higher education. It describes how the cases can be managed, and the resources and support that are available. “We want all co-workers at LiU to understand and be knowledgeable about issues of equal opportunities. It’s a matter not only of contributing to a healthy and inclusive work and study environment at LiU, but also of acting to create equal conditions for work and study here. As co-workers, we must also be prepared to act if we see any form of abusive treatment of colleagues or students. Students and other people we collaborate with are well-informed on these issues, and they expect that such an important part of society as LiU will be a pioneer,” says Johanna Forsell. In the most recent co-worker survey, 9% of respondents stated that they had experienced victimisation or bullying at some time. Everyone at LiU has far too much to do already. How can you inspire them to devote two hours from their busy lives to this course?